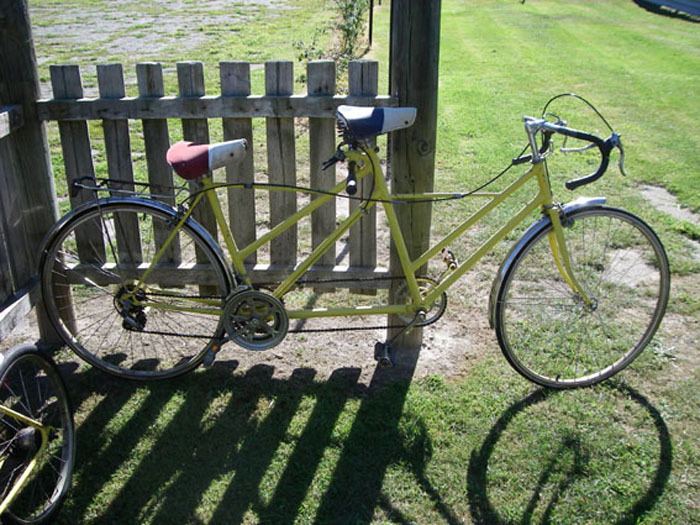 Our first build 6 years ago, I was given two old Ladies racing bikes and asked to make a tandem for a party I was holding, some kiwi ingenuity and this was the result. My first ride behind a friend who had been drinking in the pitch black in the middle of the night and I was hooked.........we had to have another one so we could have races!!!!! My friends all enjoyed using it and there was a suggestion that I should rent it out.